Datuk Bandar Kuala Lumpur held a ninety-nine year lease to a block of land located on Jalan Pudu in Kuala Lumpur and wanted the subject land to be developed into an integrated transport hub complete with hotel and commercial development including retail and office space. The completed development which was to be commenced in 1994 and was scheduled for completion in 2000 was to include a bus terminal, taxi and light rail (LRT) station. Datuk Bandar Kuala Lumpur entered into an eighty-eight year sub-lease of the land and joint venture agreement with Plaza Rakyat Sdn Bhd for them to develop the land accordingly over the agreed six year period. In 1997 the Asian financial crisis hit and Plaza Rakyat Sdn Bhd were unable due to lack of funding to proceed with the development having started the construction works in 1994 as agreed between the parties. The parties acknowledged the problems resulting from the financial crisis and attempted to negotiate an extension to the development timeframe including consideration of a fresh development agreement but attempts were abandoned and no extension or new development agreement were every agreed. Datuk Bandar Kuala Lumpur contested that should not be granted by the court due to argument that repossession of the land was indeed a ‘self-help remedy and that the injunction application if granted would deny Datuk Bandar Kuala Lumpur this remedy. The Court did not hold this view and granted Plaza Rakyat Sdn Bhd the injunction on the basis that it was unreasonable for Datuk Bandar Kuala Lumpur to attempt to present that the delays were a basis for denying the injunction regardless of the public interest issues when Datuk Bandar Kuala Lumpur had failed to act at the expiration of the six year development period or indeed over the next thirteen year period. Indeed on the issue of public interest the Court considered that the damages that Plaza Rakyat may be entitled in the event that they were granted the decision by the arbitral tribunal against Datuk Bandar Kuala Lumpur had the potential to be large and that these would have to be paid from public funds thus it would be in the public interest to grant the injunction pending the matter being dealt with by arbitration. The Board of Directors of Sunway is pleased to announce that Sunway Construction Sdn Bhd (“SunCon”), a wholly-owned subsidiary of Sunway has on 16 August 2011, accepted the letter of award for a contract worth RM569 million from Syarikat Prasarana Negara Berhad, for the construction and completion of facilities works (Package B) for the Kelana Jaya (KLJ) line extension project [hereinafter referred to as “the Proposed Project”]. The Proposed Project consists of the construction and completion of facilities all along the 8.1km project route from Persiaran Kewajipan, Subang Jaya to Putra Heights. The work includes site clearance, earthworks, viaduct construction, roadworks, drainage works, traffic management, structural works and temporary works. The Proposed Project is expected to commence upon handing over of site possession which is anticipated in September 2011 with a construction period of 29 months. It is expected to contribute positively to the earnings of Sunway Group for the financial year ending 31 December 2012 onwards. The Proposed Project is subject to normal construction risk of materials price fluctuation. However, with the past experience and expertise of SunCon in construction projects in Malaysia, this risk could be mitigated at this juncture. None of the directors or substantial shareholders of Sunway or persons connected with them has any interest, whether direct or indirect in the Proposed Project. The Star Newspaper has reported that the Building and Common Property (Maintenance and Management) Act 2007 will more than likely be replaced with the Strata Management Act, which is understood to be implemented in 2012. It is also understood that the proposed act would mean that strata titles to be issued at the same time the house buyers receive the sales and purchase documentation. 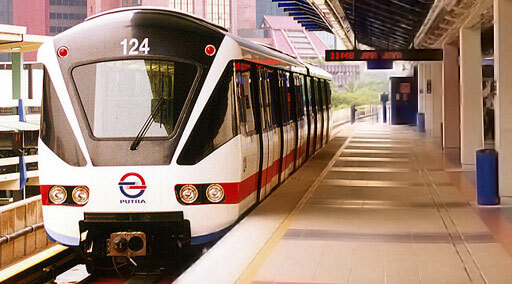 It has been reported in the press that a couple and a retired professor are to be allowed to challenge the Malaysian Government together with four others over the acquisition of their land located in Kuala Lumpur’s Golden Triangle for the construction of the MRT project. The High Court have granted them two applications for leave for Judicial Review after finding that their applications were neither frivolous nor vexatious and the Court further issued interim stays that acquisition proceeding until disposal of the two judicial reviews on Friday 7th October 2011. David Mathews, lawyer representing the couple is reported as stating that the judge ruled that the applicants had sufficient legal rights to challenge the decision by the authorities over the acquisition of their land. It is understood that the couple are happy to have been granted the opportunity to explain their stand on the acquisition and MRT project. They claim that the project does not need to acquire the land as the underground tunnels will pass under their land and will not be on the surface. Contractors in Malaysia are hoping that new work will be generated in the infrastructure sector following launching of a new infrastructure fund. ASEAN (Association of Southeast Asian Nations) Finance Ministers have launched ‘The ASEAN Infrastructure Fund” to help the region accelerate its economic integration. It is understood that the RM1.8 billion fund will offer loans for execution of infrastructure projects such as roads, railways, ports, power generation, water treatment facilities and airports amongst others without the need for direct foreign assistance. The fund will be located in Malaysia after they contributed the largest initial investment of the member states at around RM 540 Million. Indonesia was the second largest contributor with an initial investment RM 432 Million into the fund. The Asian Development Bank based in Manila Philippines contributed around RM 450 Million and will eventually contribute 70% of the total value of the fund which it is hoped will provide RM 40 Billion in infrastructure financing by 2020. The Creation of the Fund hopefully indicates that the ASEAN members are looking to invest more of their financial resources currently held as reserves invested outside of ASEAN which are estimated to top RM 2,100 Billion in infrastructure projects within the ASEAN region. It is understood that the Asian Development Bank will administer the Fund to ensure that potential projects are subject to full due diligence checks and the fund is managed correctly. The Fund aims to encourage private investments in large infrastructure projects which have typically been viewed by potential investors as being high risk mainly due to the long project durations against modest returns. One of the Funds aims is to mitigate the perceived notion of high risk by encouraging private-public partnerships to carry out the large projects needed in the region.